I love making eggs. My kids love eating eggs. I recently became the owner of nine chickens, partly so we could get more eggs. The only glitch in this egg-loving setup is ... peeling hard boiled eggs. I can never, ever get those stubborn eggshells to come off without crumbling and taking half the white with them. I finally figured out how to cook hard boiled eggs in an Instant Pot and wow! 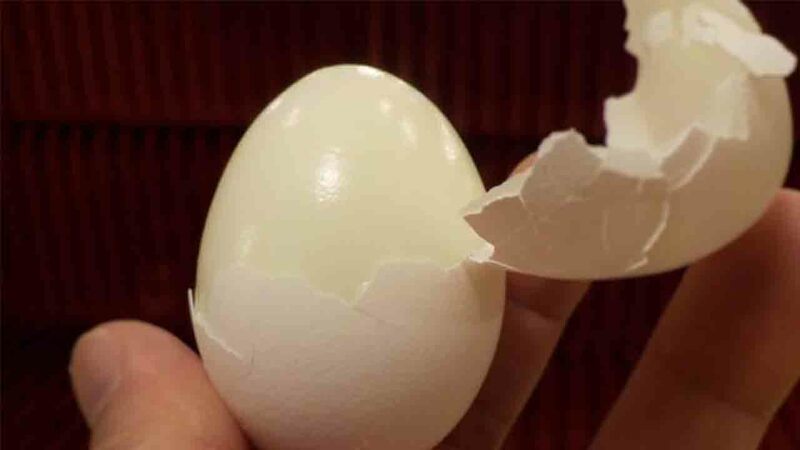 These eggs peel like a dream. *This is the steam rack that came with my instant pot. if you don't have one, click here to find an inexpensive version on Amazon. Charity is an ABC11 Community Influencer, read more articles by her here! I had the most success peeling right away rather than waiting. All the eggshells came off so easily with this Instant Pot method that I'll never go back to boiling eggs. Use them on toast, or make our Very Pickle-y Egg Salad for sandwiches that make my four kids cheer! Or serve your perfectly peeled hard boiled eggs straight up. We've had these adorable egg molds for years but it's so hard to use them when the egg shells don't come off easily. Now we're back in business! Charity is an ABC11 Community Influencer. Read more of her work on her blog . Check out one of her many other recipes.